Rick Yngve is an advisor, speaker and teacher. He advises small businesses and nonprofits across the country, and has been a featured speaker at a variety of schools, conferences and leadership programs. Rick teaches multiple university courses including entrepreneurship, marketing and leadership. 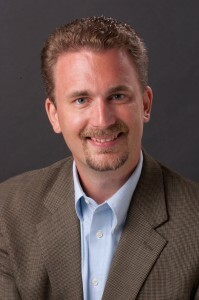 As President of Yngve & Associates, he offers small businesses and nonprofits training and consulting on business planning, customer and competitive research, relational marketing strategies and sales/fundraising techniques. For individuals, Rick offers advice on entrepreneurial career development. From professional development to start-up guidance, Rick has been sought out because of his knowledge and personal experience with both entrepreneurial and intrapreneurial launches. Rick recently served North Park University as Director of Alumni Relations & Annual Giving and as Associate Director for the School of Business & Nonprofit Management. Prior experience includes working at start-ups and small businesses as President of Nebraska Sports Magazine and as Vice President of Marketing for Sir Arthur Software. Rick currently serves on the Board of Directors at Teen Parent Connection and at Our Village Our World. He received his MBA in Entrepreneurship and Marketing from the University of Arizona and his Bachelor's degree in Communications and Politics from North Park University.